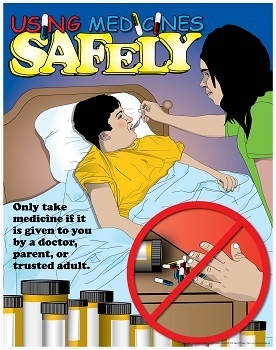 Reinforces that children should only take medicine when given by a doctor, parent or other trusted adult. Full-Color 22" x 28" Poster. Laminated.